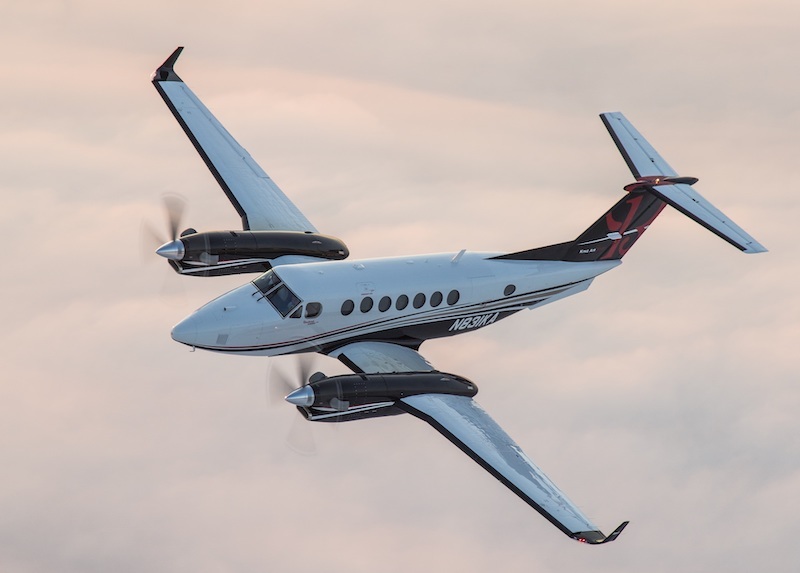 Looking to build off of the popularity of its Beechcraft King Air and Cessna Caravan turboprops in China and the Asia-Pacific (APAC) region, officials from Textron Aviation are hopeful for a similar reception to its Cessna Denali single-engine turboprop and SkyCourier twin turboprop, both of which are due for their maiden flights this year. “Customer interest remains strong as both programs progress towards first flight,” Textron Aviation senior v-p of sales and marketing Rob Scholl told AIN. The Wichita-based airframer (Chalet 1, SD1) will have a King Air 350i as well as a Cessna Citation Latitude and XLS+ on display at this year’s ABACE, with the latter of the two turbine models garnering “increasing interest,” Scholl said. He noted that following Civil Aviation Administration of China certification of the midsize Latitude in 2018, Textron Aviation has delivered two of the types to Emper General Aviation (Suzhou) Co. Ltd. “The Latitude continues to gain traction throughout the Asia-Pacific region and the world,” Scholl added. Textron Aviation has nearly 1,500 turbine aircraft operating in the APAC region including 200 in China. What’s not clear is how many of those are Citations, including the Latitude and the XLS+, because it doesn’t break down its fleets there by model. In 2012, the then-Cessna Aircraft announced a joint venture (JV) with China Aviation Industry General Aircraft (CAIGA) for final assembly of the XLS+ to Chinese customers. It’s not clear how many deliveries that JV named Cessna-AVIC Aircraft (Zhuhai) has yielded since it delivered the first two to Guangzhou Zhongheng Group in 2014. A company official told AIN at ABACE last year that XLS+ deliveries in China were “a little slow.” But that same official’s assessment of another JV there—Cessna-Avic (Shijiazhuang) Aircraft for the final assembly of the Caravan 208—was upbeat, noting it had delivered 50 of the turboprop single since the start of operations in 2013. Beyond its JVs, Textron Aviation’s presence in the region includes a company-owned service center in Singapore that supports its China and APAC-based fleets. Last year it announced an expanded parts inventory—to nearly 6,000 unique part numbers—at the center as well as the addition of several authorizations for turboprop maintenance.